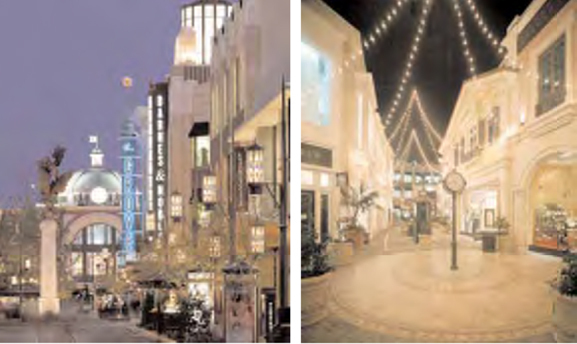 What Walt Disney was to amusement parks, Rick Caruso is to shopping centers. He’s the man behind L.A.’s highly successful The Grove shopping center, which has successfully transplanted an Italian piazza to the corner of Fairfax and 3rd. Grove’s bevy of stores, restaurants and its leisurely atmosphere. And Caruso’s fascination with intimate and personal experiences permeates the finest niches of The Grove’s architecture. The more observant of us may notice a collection of statues frolicking with lemonade in the central square or a number of busts atop nearby Barnes and Noble. These bronze sculptures are more than just decoration; they portray members of Caruso’s own family in jolly compositions that reflect a fun-loving, compassionate side to a man better known for his business than his personal affairs. With new projects in the works—currently under development is Glendale’s 16-acre The Americana at Brand— Caruso finds it important to make sure each of his new projects is better and more creative than the last. “If I just lifted up The Grove and put it in Glendale, to me that would be a failure,” he reveals.